By default, Shopventory will NOT re-stock refunded Products. But you can change that! 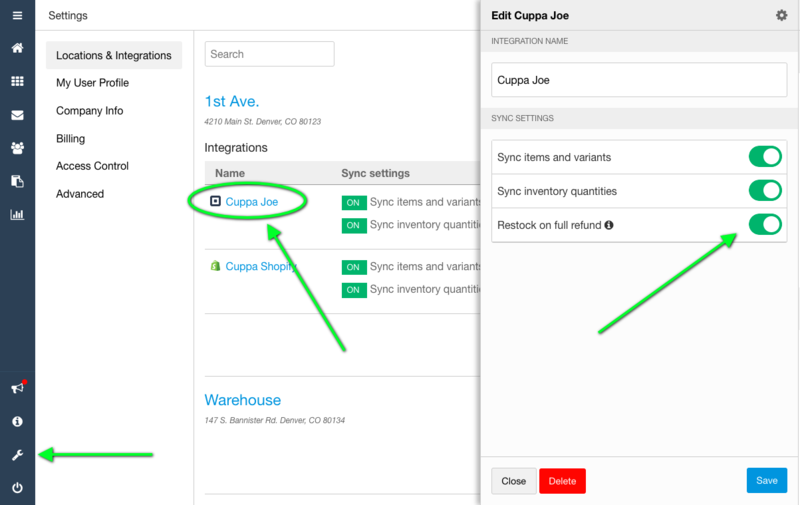 In the Locations and Integrations tab of the 'Settings' section of Shopventory, you can click on the integration name to select whether you'd like Shopventory to re-add returned products into the inventory for that integration. Refunds are applied at the time of the sale. This means if a product was sold in December and refunded in January, the refund would appear on the Sales Report for December. Shopventory also supports partial refunds on receipts (i.e. refunding just one product on a receipt with multiple Products, NOT partially refunded monetary amounts). See below for details. Square and PayPal Here: These integrations do not give Shopventory any info about what product was refunded in a partial refund, so updating inventory quantities (including automatic restocking) is not possible. Refund the full receipt in order to update the inventory. Clover, WooCommerce and Shopify: These integrations do provide that information, so products will be detailed and Shopventory will restock on a partial refunds (if restocking option is selected). Clover Only: Always "Refund Items" rather than "Refund Payment". Otherwise, the payment amount will still be reported, but products will not be detailed on the Sales Report or added back to inventory if the restock option is selected. 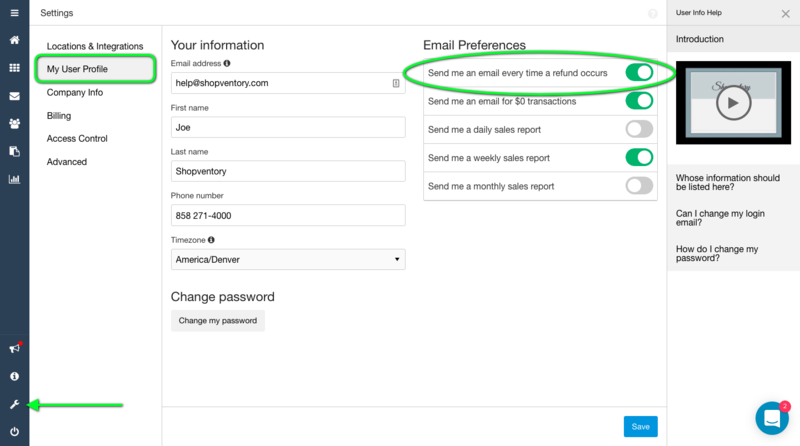 You can enable emails to your inbox whenever a return happens. You'll see that option in the Settings section of Shopventory. We will send an email anytime a refund or return occurs. Sales that are refunded by your point of sale system will be deducted from the Sales Report. Clover exchanges are correctly handled. Exchanges are treated as refunds. For all other integrations, Shopventory does not take any action with regards to exchanges. Quantities are neither added (for the product being returned) nor deducted (for the product they get in exchange). Sales reports will not be altered. No notifications are sent out regarding exchanges.